Your birth story begins quite a bit before your actual birth. At 32 weeks pregnant, I rushed in late to my appointment after chugging a coffee from our favorite coffee shop. The nurse took me back to get my vitals, and my blood pressure came back pretty high. That was abnormal for me, so I explained that I had just chugged caffeine AND we were running late so I had been walking very quickly and feeling stressed. Still, the OB (one I hadn’t seen before) wanted to run some labs for pre-eclampsia and have me come in one more time for another blood pressure reading. All of the labs came back normal and my blood pressure was perfect. Four weeks later at my 36 week appointment, I was seeing a midwife. I planned to see midwives for the rest of the pregnancy. Midwives can be much less clinical than OBGYN’s, and much more honoring of my desire for an intervention-free birth and staying hands-off until necessary. My blood pressure came back borderline at this appointment (around 130 something/70 something) and the midwife discussed with me what this meant. She didn’t believe that I had pre-eclampsia, but did warn me that I was borderline and needed to watch for changes in vision, abdominal pain, and headaches. I brushed it off and we left. Two days later, after getting up off of the couch, I saw “stars”. I looked at your dad and said “are these the vision changes they warned us about? ?” We weren’t sure, and I tend to brush things off, so we decided to wait and see if it happened again. About an hour later I went for a walk and saw dark spots. That’s when I decided it was time to go to the hospital. At L&D they checked my urine for protein (a sign of pre-eclampsia – my urine was fine) and monitored you, my contractions (I was finally feeling some! ), and my blood pressure. A midwife came in and began talking to me as the machine was checking my blood pressure every 10 minutes. All of my readings were borderline (which was now my new normal) except for one. This one was slightly high, but was taken while I was talking to the midwife. The midwife knew that she shouldn’t have let me talk during it, and told me she thought I was totally fine. However, since I had this one high reading, she wanted me to follow up with a midwife a few days later just in case. I agreed. This is where everything went wrong, in my opinion. No midwives had appointments available, so they put me with an OB. Now, not every OB is like this. I have had wonderful experiences with OBs and definitely don’t want to group them all into one type. But as I said earlier, a midwife is going to be much more cautious than an OB about slapping me with a diagnosis “just in case”. Knowing this about OBs, I was incredibly nervous going into that appointment. I was seeing somebody I had never seen, and I knew that I needed a perfect blood pressure reading in order to get out of there without bad news. Unfortunately, nerves affect blood pressure. The first time the nurse took it, it was high. I was devastated. The nurse wanted to take it one more time, and I took some deep breaths and pictured a relaxing place. My blood pressure came out perfect – 120/80. I was relieved. I thought that this appointment was just to check my blood pressure, and if it was fine, I was on my way. I was wrong! The nurse took me back into the exam room and had me undress. I did, but I was confused because I wasn’t aware that they would be wanting to check me for dilation. Like I said, I thought that this appointment was just to check my blood pressure. I was starting to feel nervous and I wanted your dad there. Normally at this point in other appointments the nurse has brought him back, but this time was taking longer. The OB came in and began talking to me, but I didn’t hear a word she was saying. All I could think was, “Where is Kyle? ?” Finally, the nurse brought him back. I had never been separated from him for that long at an appointment. All of a sudden the OB starts talking rapidly about gestational hypertension, labs, induction, weekly non-stress tests…I can’t even remember. She was talking so incredibly fast and all I could hear was “induction” and “diagnosis”. She was officially diagnosing me with high blood pressure, or gestational hypertension, and when you are diagnosed with HTN you “must” be induced between 37-39 weeks. You also become a “high risk pregnancy”. Your dad and I were completely shocked. There was no way I could make a decision in that moment. I refused to be checked and refused to be induced that day. I felt that you and I were completely healthy, that my body knew what it was doing, and that we needed some time to think. You see, our goal was to have a completely natural birth. I wanted you to come on your own time, I wanted to labor at home as long as possible, and I wanted as little intervention as possible. Now being labeled high risk, I was going to get the opposite. 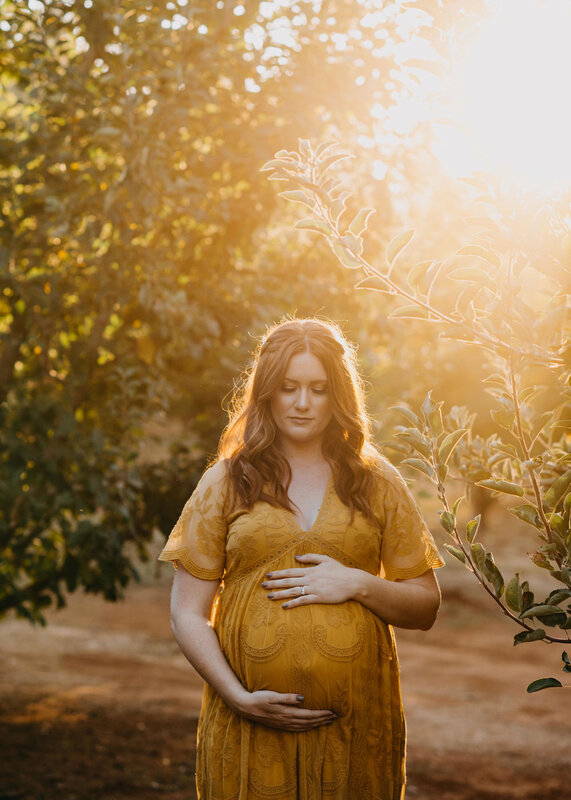 To be induced meant I had to go into the hospital and have labor artificially started, I would have to labor in the hospital the whole time, and I even wondered if I would still be able to have a midwife deliver you. I was incredibly overwhelmed and disappointed. From there I was to have lab work done (again) and I had to go in twice a week for NSTs – non stress tests. At these tests, you were always totally healthy (except always a bit sleepy!) and my blood pressure was fine. The Friday of my 37th week, after having contractions all week, I lost my mucous plug. This was really exciting, as I hoped this meant my body was gearing up for labor. Sometimes people go into labor a day after this happens, sometimes not for weeks. I had no idea what it meant for me, but it did for sure mean that I was dilating! On Monday, my 38th week, I had an appointment with a midwife named Gina. God bless Gina. She was wonderful and took the time to explain everything to us, something the OB hadn’t done. She made us feel like we had a choice in the matter, and because of that, we chose to go ahead and schedule an induction. She wanted to schedule it for Christmas Eve, but we asked if we could schedule it before Christmas - naively thinking that that meant we’d be home in time for Christmas! Funny how that worked out. Anyway, my induction was scheduled for Friday. Friday I was to have a foley bulb put in, and Saturday I was to show up to the hospital to start drugs. The foley bulb is basically a balloon that is inflated in your cervix and artificially dilates it. Sometimes this can kick people into labor, sometimes it does nothing other than dilate you. 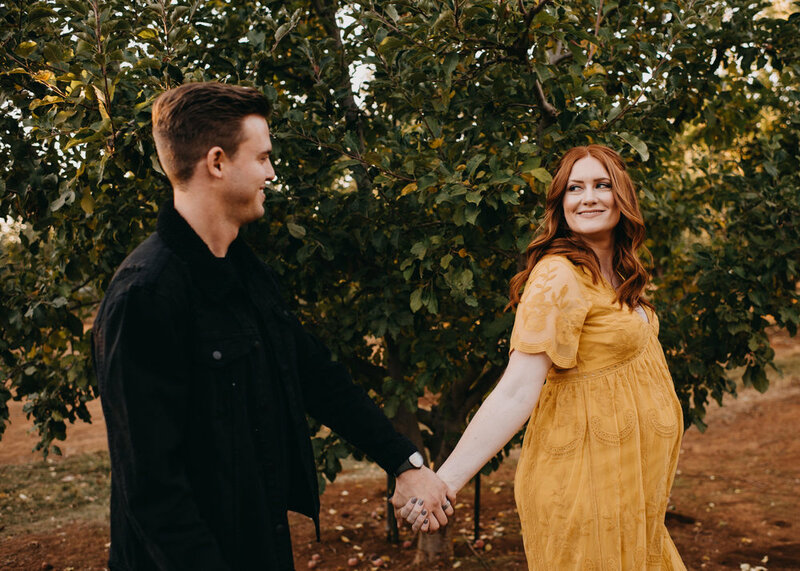 Although we decided to go ahead with the induction, I think I mostly said yes because I felt strongly that I would go into labor before the induction date. I think I just didn’t want to accept it. At my appointment with Gina, she checked my cervix and let me know that I was 50% effaced and 1 cm dilated. Progress! Renee (our Bradley Method teacher) and I were talking a lot as I processed everything, and her and I both thought my body was well on its way and you would come before the induction date. I truly believed that. But the ticking clock completely shut me down. I was putting a lot of pressure on myself, and also had family and friends constantly checking in which made me feel even more pressure. It was a really dark week and I believe that you could sense that and didn’t want to enter the world on those terms. The Wednesday before my induction was my hardest day. I felt so much pressure. I had been trying all of the ways to induce labor all week and nothing was working, which was so discouraging. We decided to go on a really long walk, and I was doing some intense curb walking (a way to try to rock you down lower into my pelvis). All of a sudden incredible pain shot through my thigh. I had injured a nerve, and I could barely walk! I wasn’t sure I’d even be able to walk back home. That sent me into an even darker place. Now I KNEW that my body wouldn’t go into labor – not when I had such an injury. I went to bed that night trying so hard to fill my body with positivity but it was tough. I told you over and over, “You are safe and welcome to come. My body knows how to have this baby and this baby knows how to be born.” I prayed and prayed that the nerve would heal after a night of resting. Thank God, it did. The next morning, after yet another night passed that I didn’t go into labor, I decided that I needed to surrender it all to God (something I should have done much sooner). I needed to trust Him and to trust His plan for your birth. The way everything was turning out was shocking to me, but none of it was a surprise to Him. I remember looking up a prayer to ask God to begin labor, and I stumbled across some one’s blog. 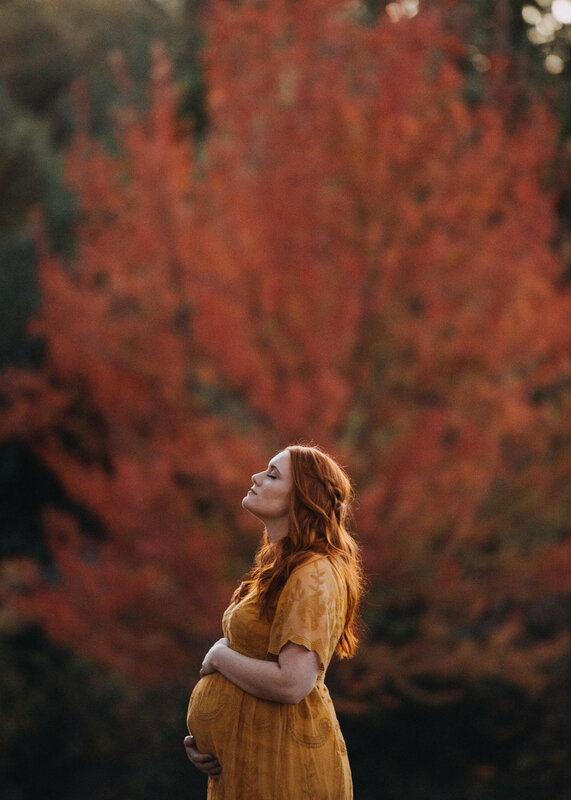 She had written a beautiful prayer and I prayed it all day – asking God that He would give me the desire of my heart, which was to go into labor naturally at home, but also surrendering to Him and His plan at the same time. I had to release control. What I won’t forget is what the woman who wrote the prayer wrote on her blog. At the end of the prayer, she wrote a bit about how the prayer prompted her to go into labor naturally instead of being induced. Not only that, but she was able to labor at home in front of Christmas lights. After reading that, I lost it. That’s what I had wanted, so so badly. I always imagined laboring at home in front of the tree, with sparkling lights in the background. I never pictured being induced and laboring at the hospital. It was like this woman got the exact birth that I wanted but wasn’t being “allowed” to have. I knew in this moment that I had to come to terms with not getting the labor that I wanted. It was good to let the tears flow, and to allow God to carry me. I spent hours sitting on the yoga ball downstairs, with worship music in the background, just speaking to God and giving Him my pain. It was very healing and I came out of it at complete peace.